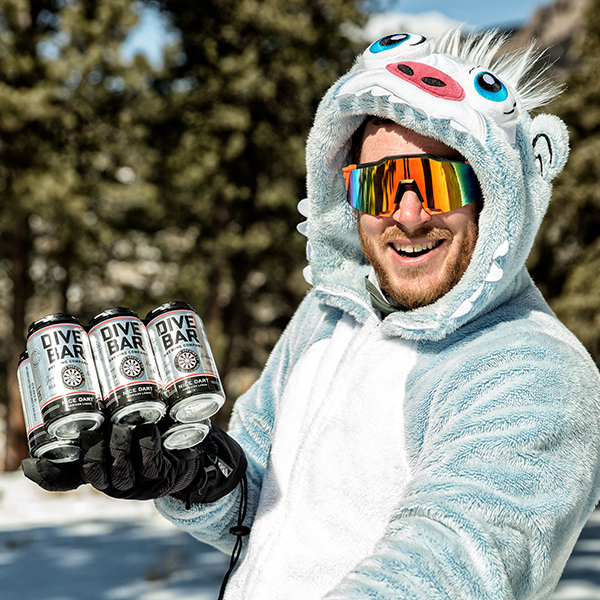 To create an easy drinking, craft beer brand specifically designed to fill a growing market need brought about by an oversupply of heavy, hoppy, higher alcohol beers. 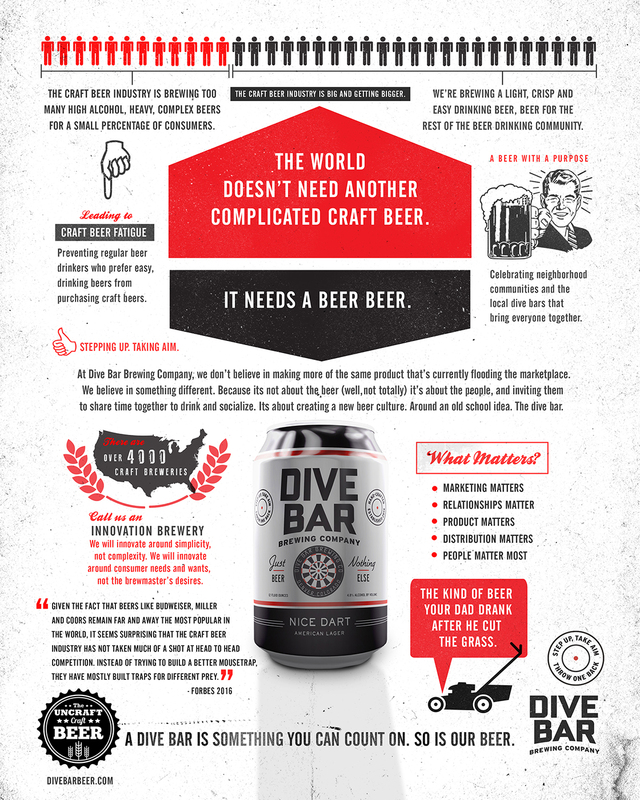 Become the uncraft, craft beer. 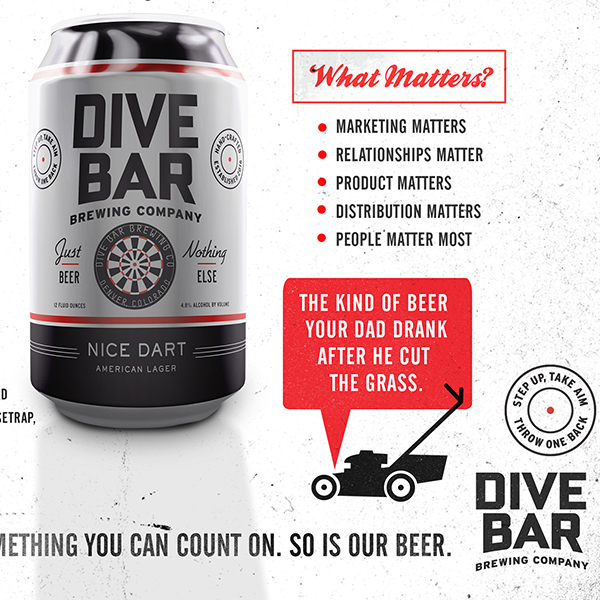 We wanted to represent an old-school mentality that is missing from the sea of stale and look-a-like craft beer marketing that is fighting for the same customer segments. 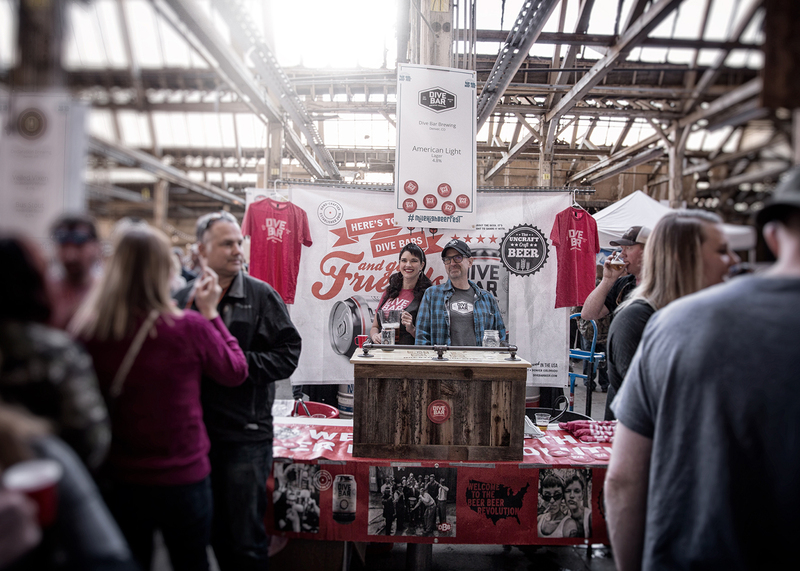 We believe that "craft beer fatigue" will continue to grow as a result of the escalating over-production of heavy, hoppy, higher alcohol beers. 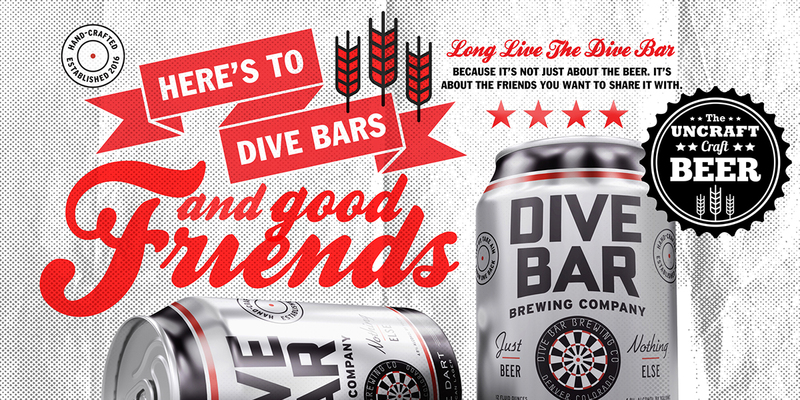 This factor has alienated craft beer drinkers who seek lighter, easy drinking beers. 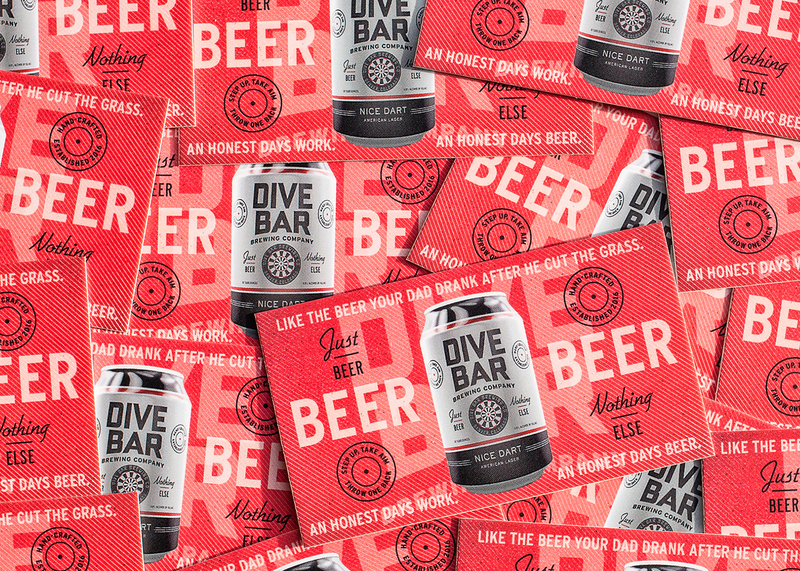 Addressing that issue was our focus in creating this new brand from the ground up (and drinking some ice cold Dive Bar beer along the way). 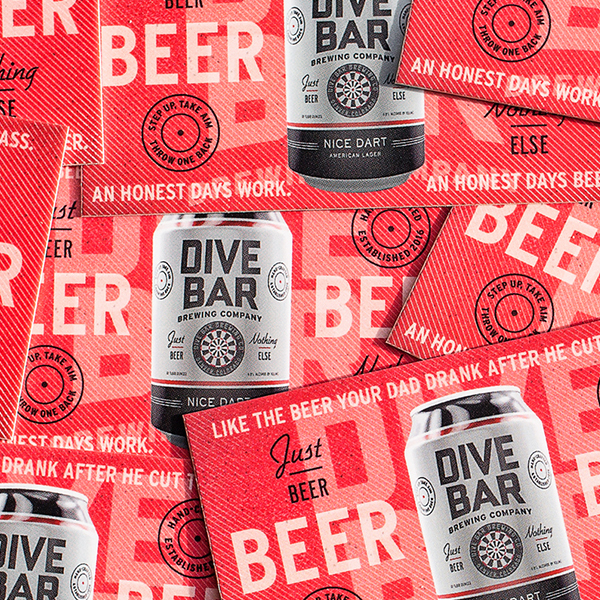 Inspired by the dusty light fixtures and cracked linoleum floors of America’s original gathering place, the dive bar, we intentionally kept our designs and language simple, instead of complex. 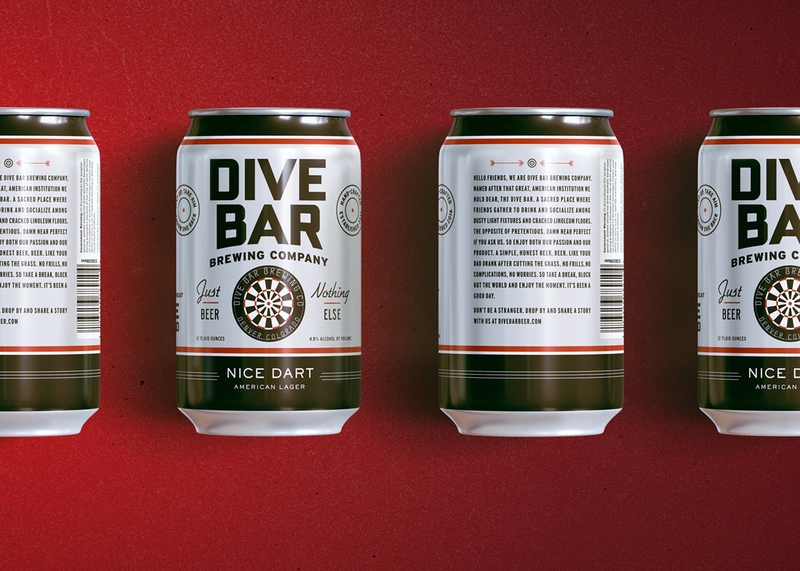 Nice Dart Lager is the "kind of beer your dad drank after cutting the grass." 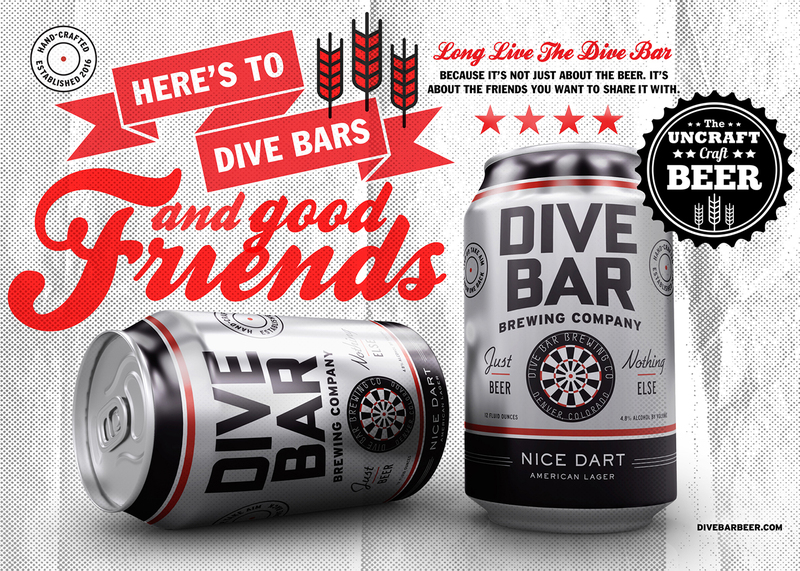 We wanted to bring the idea of those simpler times back, in a can. 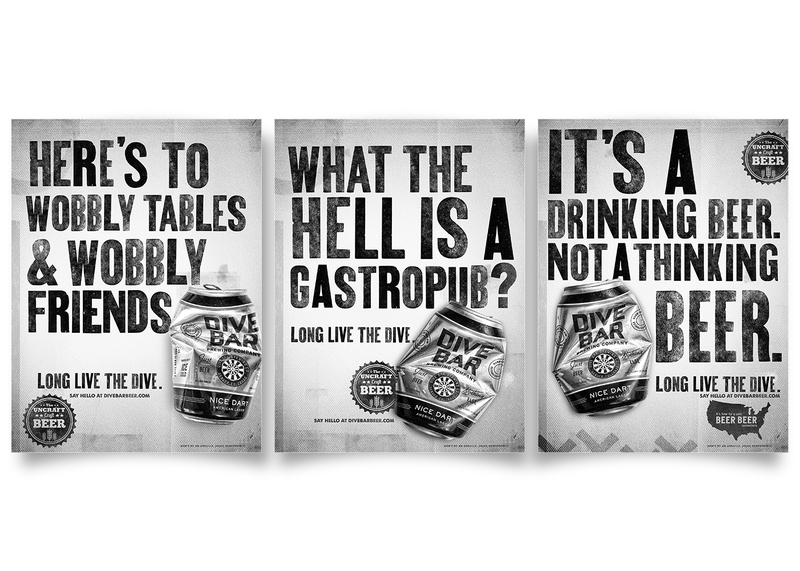 Welcome to the beer, beer revolution. 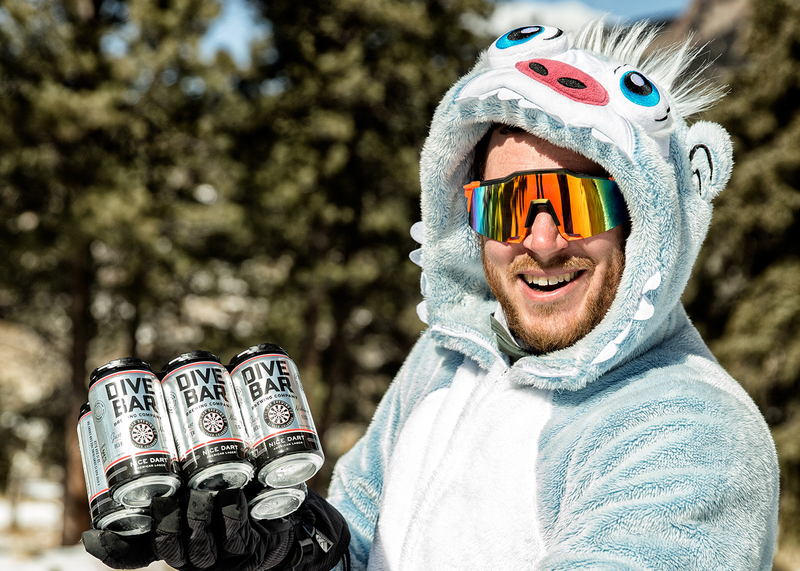 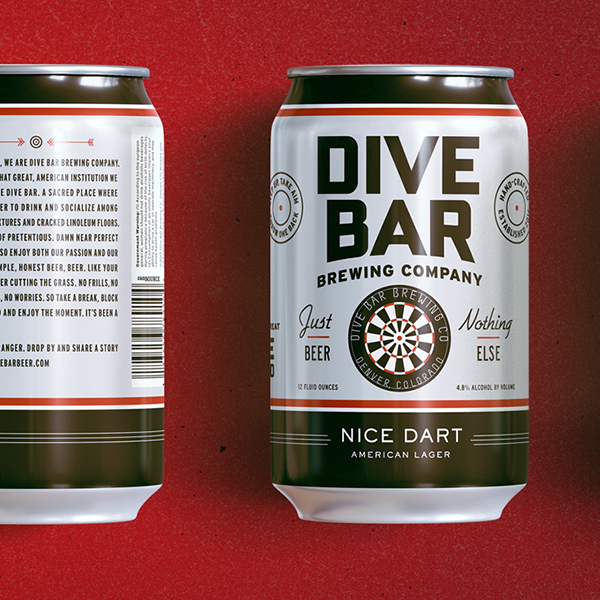 With a limited marketing budget, Dive Bar Brewing has placed Nice Dart American Lager in over 80 locations across both Colorado and Nebraska with several other states in waiting. 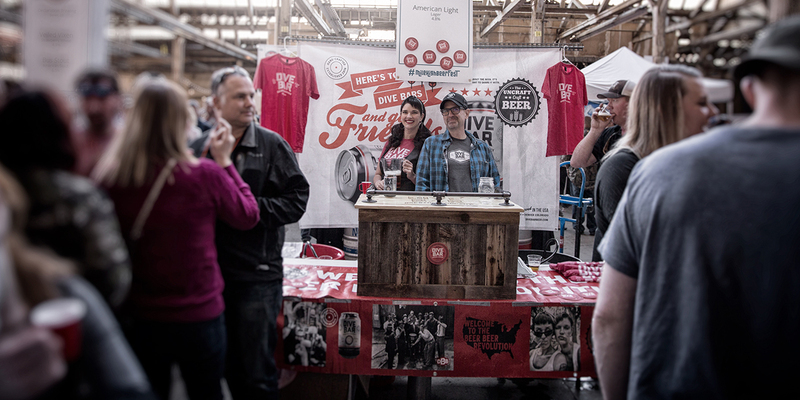 They have been written up in several articles, presented at the Craft Beverage Expo in Portland and scored product placement on a new sitcom by The Farrelly Brothers. 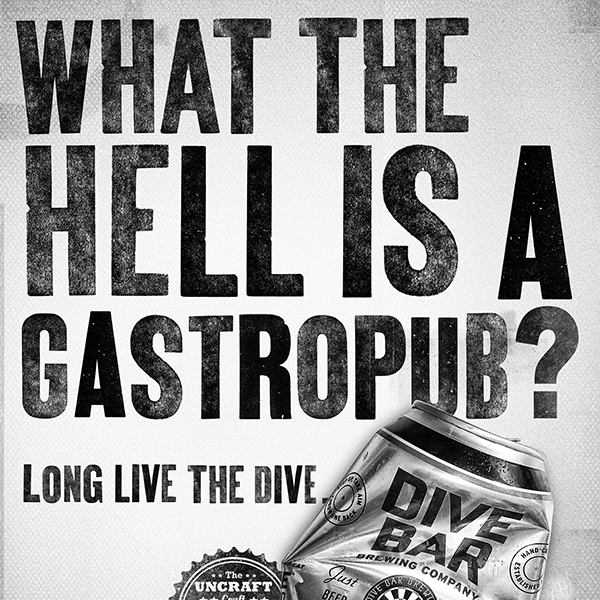 And that was just in the first year.